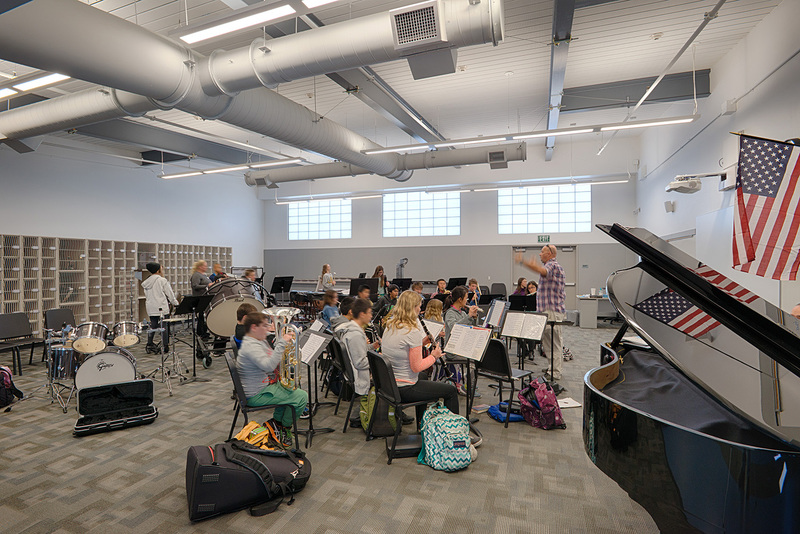 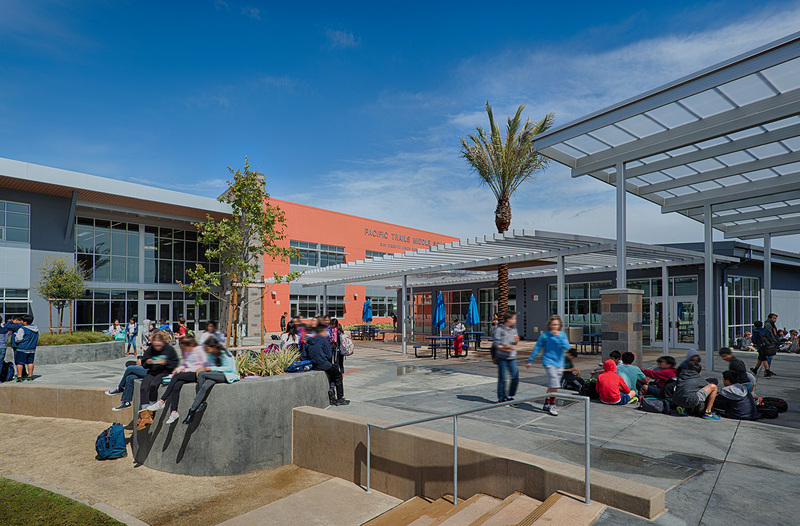 The new middle school, designed and master planned for 1000 students, will be the newest school in the San Dieguito Union High School District. 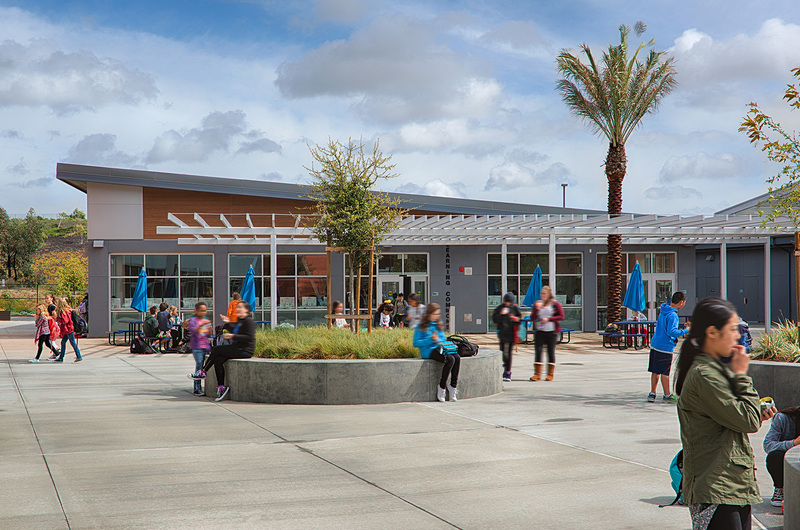 Located adjacent to one of the District’s high schools, as well as the site of a community park, the campus will provide shared use facilities for the greater community. 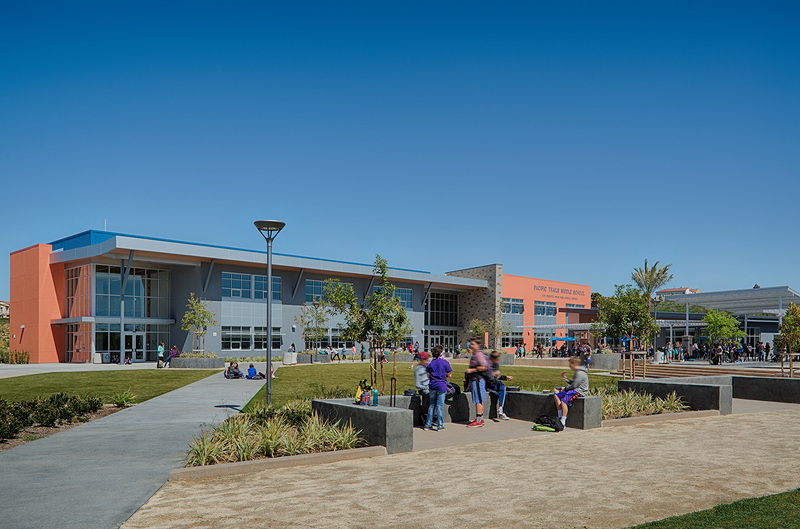 The campus is designed around a central student quad and outdoor dining commons. 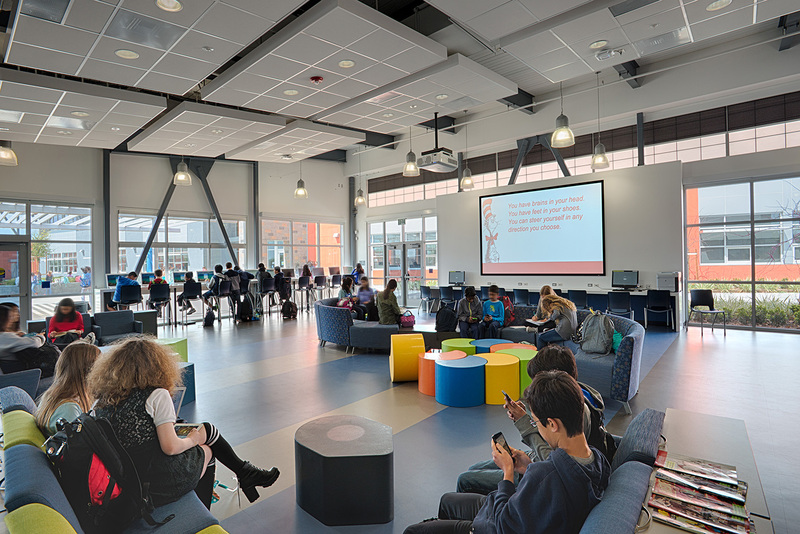 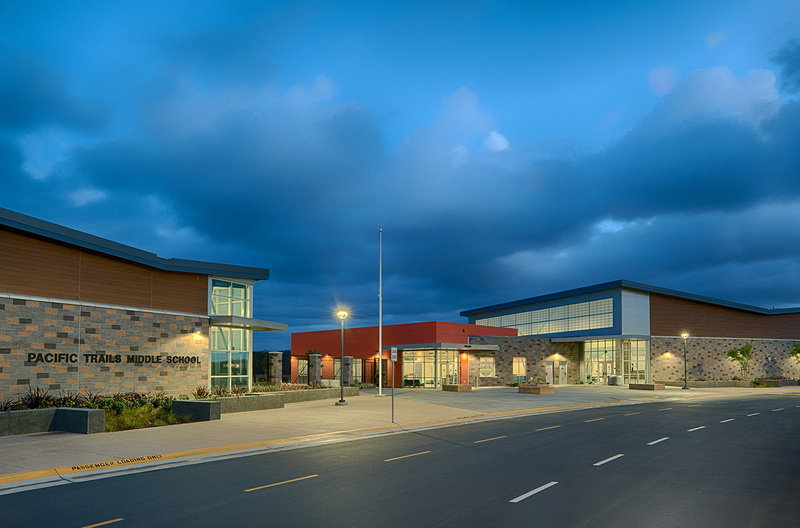 The commons, adjacent to the Media Center provide a Student Union type atmosphere at the core of the middle school. 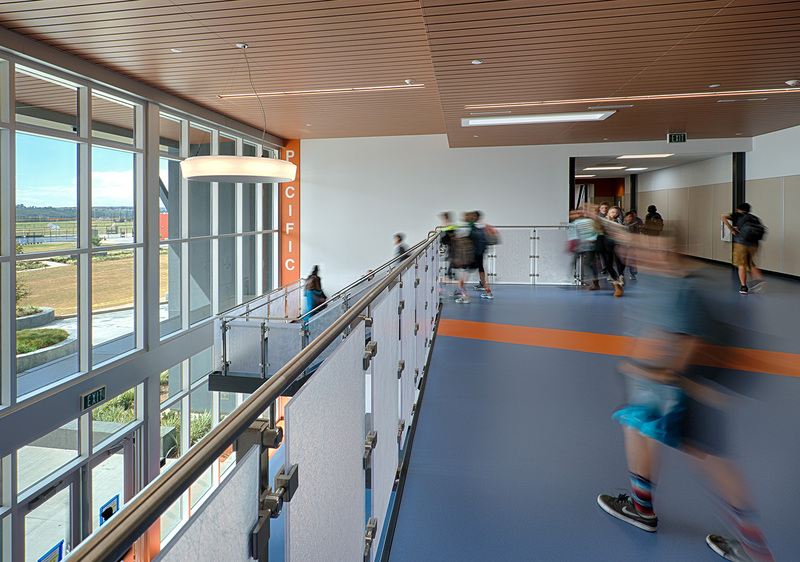 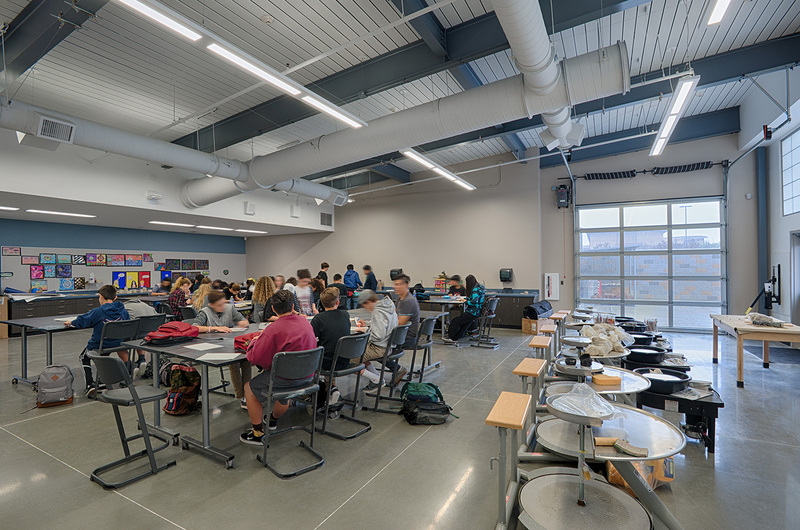 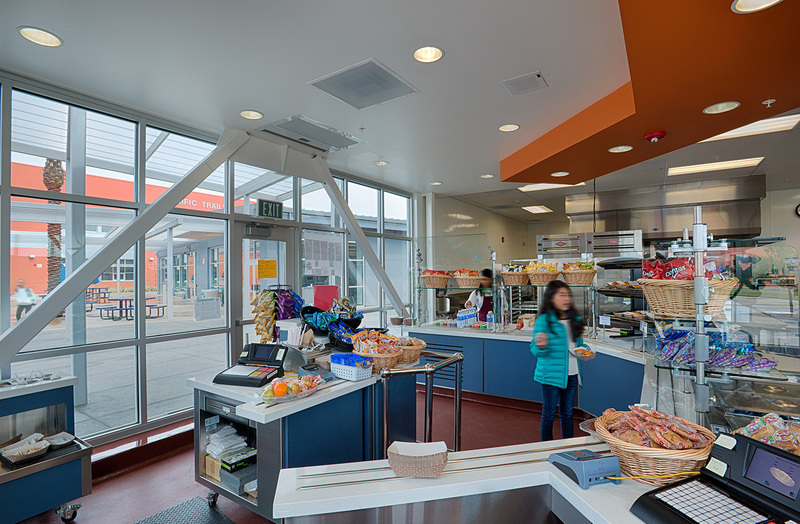 High performance design features – natural daylighting and operable windows, for example – take advantage of the temperate north San Diego county climate.